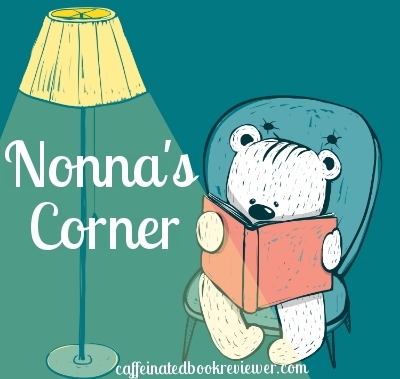 Princess Sophia turned one in January and I thought it would be fun to share what books Sophia pulls from the bookshelf on the daily. She has these memorized and gets so excited as we read them. A collection of 12 read-aloud stories featuring the Sesame Street Muppets. Sesame Street Bedtime Storybook is old, and the binding has dried out from being stored in a garage at Sophia’s Great Grandma’s house, but she loves the illustrations in this classic book. While the stories are too long to hold her attention we generalize the story and have her point to familiar characters. Naturally Elmo and Cookie Monster are her favorite. 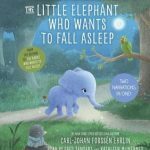 This is a beautiful collection of stories just the right length for bedtime. While it is no longer published copies are available from a multitude of sources. Llama Llama has new neighbors! Nelly Gnu and her mama stop by for a play date, but Llama's not so sure it's time to share all his toys. Maybe just his blocks? It could be fun to make a castle with Nelly . . . But wait--Nelly has Llama's little Fuzzy Llama! The fun turns to tears when Fuzzy Llama is ripped in two, "all because of Nelly Gnu!" Mama comes to the rescue and fixes Fuzzy, but she makes it clear: "I'll put Fuzzy on the stairs, until you're sure that you can share." Fun to read aloud and helpful to children and parents alike, Llama Llama Time to Share is for any child who needs a little encouragement in sharing. 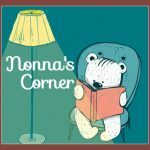 I’ve already reviewed Llama Llama Time to Share, on Nonna’s Corner and we have since picked up more Llama Llama stories, but this remains her favorite. As we approach the part of the story where Nelly and Llama have a fight and pull on Fuzzy the stuffed llama Sophia gets so animated. She points and tried to turn ahead to the big illustration in the middle of the book. When the inevitable happens I ask Sophia who can fix Fuzzy Llama and at first I would say, “Can Mama?” and she would nod and smile yes. Now she yells, “Mama, mama, mama!” She loves the illustration where Mama Llama fixing Fuzzy Llama. I love watching Sophia try to read it on her own, flipping the pages and speaking gibberish. Thomas thee blue train works all day while Percy the green train works all night. Told in the simplest language, here is a charming tale of what they each do. PerfectÑand portableÑfor toddlers and their caregivers. Blue Train, Green Train is a simple board book that is just the right size for Sophia’s fingers. Colorfully illustrated she loves the pictures and points out Thomas and Percy. Other images in the book allow us to build her vocabulary. As she grows we discover new things. When she is with me be rest assure we will read this two or three times. Agreed, we did the same with ours and all of them are readers. Sophia has great taste in books! In Philly, we always pull for our sports teams (and hope for a parade down Broad Street!). Baseball “officially” starts on Monday! These all sound delightful! I read to Robin almost from birth, clear through high school; given her visual/reading disability, she thinks it probably kept her in love with books. (And now she’s a writer, and very serious about her craft.) We didn’t have any of these three, but Robin was very fond of some old Sesame Street books we had. She also loved Time for Bed by Mem Fox and Jane Dyer. Aw, that’s so sweet! I miss my kids sitting still for a story. Now they don’t sit well for a story unless they’re sick. But I try my best! Mine did for quite a while, but we use to read the Harry Potter books aloud. I don’t think you can go wrong with any of these! What variety! Great choice, Sophia! It always looks so sweet there! *sigh* I need to borrow a baby to read to. Cute picks! Llama Llama looks like a good one. I’ve seen it around a lot. Aw, cute photo at the end. Fun post. I love buying books for my niece and nephew!! I LOVE this post! I cannot wait to be a grandma!!!! I cannot wait to share my love of reading with my sweet grand babies. Now if only my daughter would catch on ;). Just kidding. Sort of! We love the Llama Llama books here and the Sesame Street book looks wonderful! Have you read any of the How Do Dinosaurs … or The Color Kittens? Those are some of our favorites. Oh how cute. Those look like great books for kids. OMG! ADORBS! I love Sophia’s review of these. I also love it how quickly she has grown into her voice. This is nothing but adorable!!! I love Sesame Street, it looks so cute! Thanks Heather 🙂 you cannot go wrong with SS. How fun. I remember reading the same books over and over to my kids. Risa loved The Matthew Van Fleet books, and Wocket in my Pocket as well as Good Night, while Mateus was all about truck books. I love Good Night and Dr. Suess, but shared her personal favorites. She is so cute. 🙂 So are the books. I LOVE the Llama Llama books! The same author also wrote this adorable book about a pangolin. I think it’s called Roly Poly Pangolin. So adorable. Well I need to look those up then! This is too precious for words!! Love love love this! I remember the Llama Llama books! That and I keeping adding books to hers. Amazon prime makes it too darn easy! The Llama series is cute! “my” kids are Dr. Seuss fans. They love the rhyming patterns. LOOK AT HER! She totally is a future book addict. Love it:) I’ll have to see if my sister in law has any of the Llama Llama books for my nieces! Awe. We got the Llama Llama mad at Moma for her for Easter. This is such a fun age. I love that she knows what is going to happen and begins to react. I love seeing that some of the same things I read a child are still around. I know I read a ton of Sesame Street books as a child. I think my favorites were Dr. Suess much my mom’s chagrin. She said my favorite was “A Fly Went By” It is one that I don’t see often. I love that, in addition to Llama Llama books, you are also including timeless classics in her story time. Sesame Street is something we can all love. 🙂 Happy birthday Sophia! Cute photo, Kim! This girl would be a heartbreaker for sure! She has two bookshelves one here and one at home. I will double check with her mama and grab those!